The non-for-profit Robots in Service of the Environment (RSE) has launched the Guardian LF1, Mark 3 prototype, an affordable unmanned undersea robot designed to control the population of invasive lionfish in the Western Atlantic. This robot, funded in part by RSE's Kickstarter campaign, accelerates the capture of lionfish at the critical action breeding depth below safe diver depth. According to the National Oceanic and Atmospheric Administration, researchers have discovered that a single lionfish residing on a coral reef can reduce native reef fishes by 79%. "Researchers working on the lionfish issue have documented severe impacts to our native ecosystems due to lionfish predation. While divers are able to remove lionfish in shallow water habitats, the deeper regions remain lionfish safe havens. RSE's Guardian is working on robotic solutions to reach the deeper waters and remove lionfish that have been previously inaccessible," said Lad Akins, former Executive Director at REEF and Founder of Blue Earth Conservation. RSE Guardian LF1 can reach the critical action depth below sport diver depth where lionfish breed. Fully functioning prototypes can stun and collect up to ten lionfish before bringing them to the surface. Following a successful Kickstarter campaign, RSE's engineers and roboticists have been working to create new innovations, research and technology to reduce the invasive impact of damaging lionfish in the Atlantic. 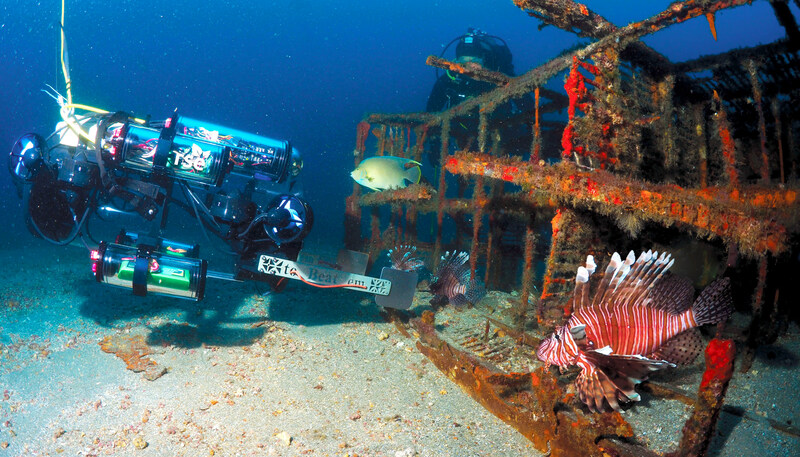 RSE conducted several testing missions in Florida, capturing lionfish in vulnerable reef environments in the regions. "The lionfish are destroying the coral reef and decimating fish populations in the Atlantic. The latest innovations incorporated into the RSE Guardian LF1, enable the undersea robotic solution to go deeper, fish longer and pull in a larger haul. With each technical milestone we cross we get one step closer to saving our greatest natural resource by empowering fisherman with new tools," added Colin Angle, co-founder and executive chairman of RSE.